LEGO fun for everyone. 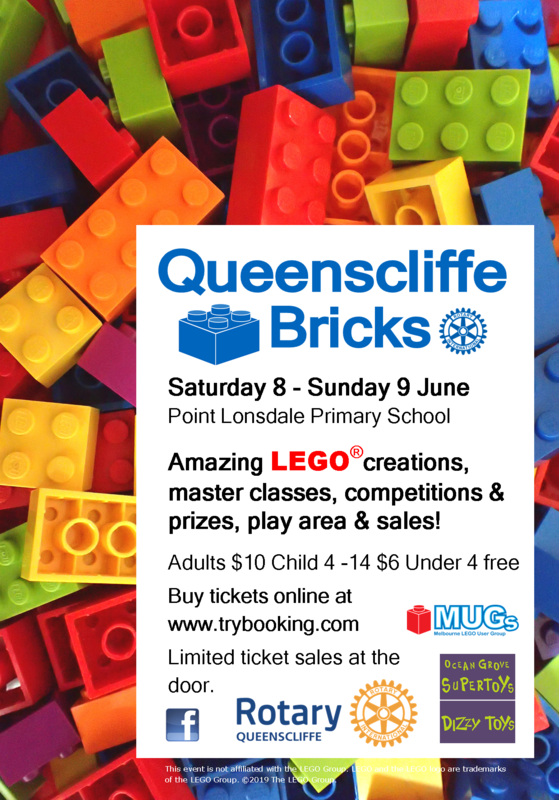 See amazing LEGO creations and models, join in a master class, enter the competitions and raffle with hundreds of dollars in prizes and giveaways, make something wonderful in the play area or buy some new LEGO to take home. On Sunday you can browse the Point Lonsdale Primary School Community Market. Organised by the Rotary Club of Queenscliffe with all proceeds to Rotary projects. Displays by the Melbourne LEGO Users' Group. Play and retail area by Ocean Grove Super Toys/Dizzy Toys.